Discover our success stories, the latest installations of Repagas in Spain and the rest of the world in great restaurants, hotels and more. Also you can see a sample of the events and fairs we have attended. Do not miss it! El Bohío is a family-run restaurant in Illescas, in the province of Toledo. It has been in the family for three generations now. 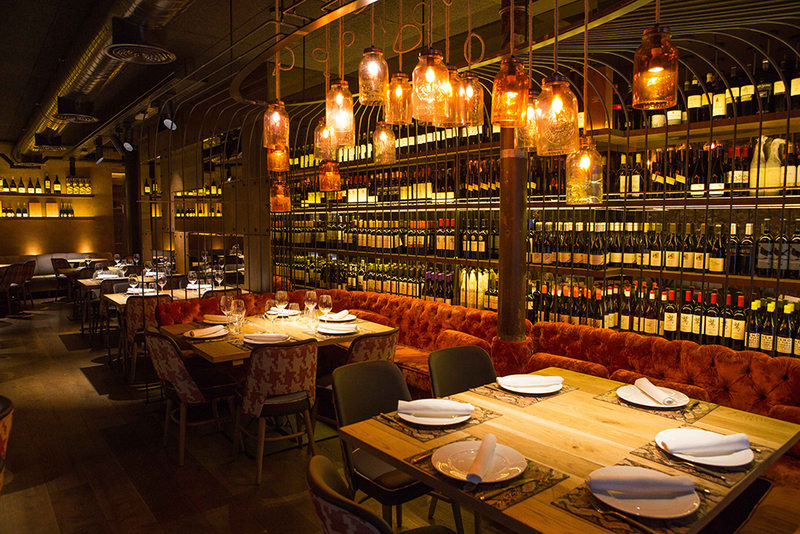 The establishment, in the style of traditional Castilian taverns, is owned by the Rodríguez brothers: Diego, the maître d’, and Pepe, chef and MasterChef Spain judge who holds a Michelin star. 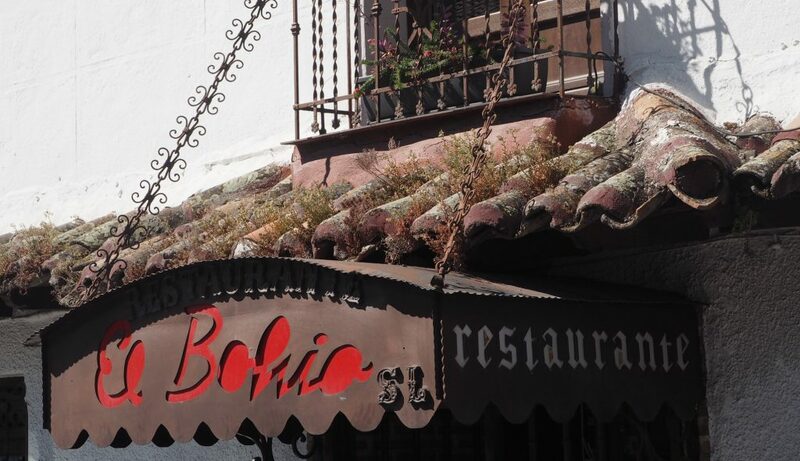 El Bohío serves contemporary cuisine while placing importance on ingredients and flavours of the land. Also, it has a most distinguished wine list. The restaurant needed restructuring and design in four areas to meet the needs of the dining room and maximize staff circulation in the professional kitchen The four areas are the cooking area, the cleaning and washing station, the waiters’ office and the patisserie. Repagas proposed a solution through from Repagas Concept, the firm’s new comprehensive consulting service. The idea was to have an efficient design, suitable for a commercial kitchen, and to provide top-quality equipment. Industrial cooker from Repagas with large, high-performance burners designed for high heating power. Repagas industrial cooker. Model CG-920/M. Large cooker characterised by functionality and power that offers the highest level of versatility and great design. High-performance gas burners. Stainless steel exterior. Cooling system blows air out indirectly around food. Evaporation temperature controlled by means of a thermostat valve. 3B-COUP DE FEU/Radiating plate. Model CG-910/RM. Industrial cooker with gas burners, radiating plate from Repagas. Cast iron upper plate facilitates heat transmission. Top with open fire and ignition pilot, safety valve and thermocouple. High-performance burners with brass machined cap. Cast iron grid with anti-acid enamel measuring 390 x 368mm. Heat-resistant, ergonomic polyamide knobs. Cook & chill combi oven. Model HE-611/2 from Repagas. Polished stainless steel baking chamber with steel top and bottom, compatible with GN 1/1 and GN 2/1 racks. Automatic cooling of baking chamber with door closed. Multifunction oven with a combination of cooking methods, LED display and digital controls (7 segments). Convection heat from 30º C to 270ºC and humidity from 0 to 100%. Combination cooking from 30º C to 250º C and steam level ranging from 10 to 90%. Steam cooking between 30º C and 125º C. Pre-setting for remote control of power peaks. Blast chiller. Model AT-511 from Repagas. Stainless steel structure. Scotch-Brite-finish satin steel sides and control panel. Cooling chamber with rounded corners and condensation outlet at the bottom. Suitable for GN 1/1 racks and/or pastry sheets measuring 600 x 400mm. Tray support structure made of stainless steel wire. Cooling system blows air out indirectly around food. Evaporation temperature controlled by means of a thermostat valve. Repagas Concept also provided comprehensive solutions for the waiters’ office and the cleaning and washing station, including equipment. 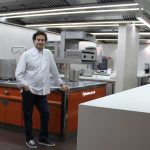 The finished kitchen, featuring restaurant equipment from Repagas, is ideal for a Michelin-starred, internationally renowned chef like Pepe Rodríguez. Read more about the project on our blog. Situated in an excellent location in the town of Ondara, Alicante, in the Region of Valencia, Tasta’m is a restaurant established two years ago that boasts a charming blend of innovation and tradition. The restaurant’s recipes are based on ingredients from local food markets. The chef’s creative cuisine is well-balanced, attaching importance to quality fresh foods. The wide variety of delicious dishes on the menu, the chic décor and the excellent service make dining at Tasta’m a wonderful experience. Beyond all doubt, chefs are the most demanding diners. To them, top-quality ingredients are not enough: they also need a kitchen fitted with the best equipment to work properly and fast. This was the challenge at the professional kitchen in Tasta’m. At Repagas we suggested a solution for creating the perfect kitchen to meet Tasta’m’s needs, based on our 45-year experience and unrivalled know-how when it comes to fitting a professional kitchen. Large industrial cookers. Models CG-920/M-LC and CG-940/M-LC, Power Line 900 Series. Functional and powerful, the two models are made of AISI-304 stainless steel. In addition, the cooking area features an industrial cooker of the CG-910/RM Pro-line range. Gas fry-top with drip pan for fat collection, Model FTG-92/CDM-LC. Gas barbecue, Model BARG-92/M-LC, with ceramic briquettes for even heat distribution. If you are considering giving your kitchen a facelift, take a look at our large range of kitchen appliances. Characterised by modern design, the functional kitchen at Tasta’m has been fitted with Repagas equipment to suit ultra-demanding palates. Las Misioneras de la Caridad, las religiosas fundadas por la Madre Teresa de Calcuta tienen dos instalaciones en Madrid. La primera de ellas, la más reconocida y con más trayectoria, es una iglesia albergue, ubicada en el paseo de la Ermita del Santo cerca del Río Manzanares. El comedor, ubicado en Vallecas, atiende a los más pobres y necesitados, repartiendo aproximadamente entre 150 y 200 comidas de lunes a domingo para los más desamparados. Esta instalación tiene unas 130 plazas, que en Navidad se amplían hasta casi el infinito, y habitualmente lo llevan entre dos Hermanas, el resto del personal es voluntario. Con un nivel alto de porciones, el Comedor de Las Misioneras de la Caridad en Madrid necesitaba de equipos que le permitieran un nivel y ritmo de producción rápido para la cocción de las comidas. Asimismo, el reto consistía en que los equipos se complementarán con el espacio existente y que permitiera una superficie adecuada para la preparación de los alimentos. Además, la maquinaria debía estar adecuada al flujo de trabajo de los voluntarios y las religiosas que colaboran día a día en tan buena causa. Una cocina industrial grande a gas de 4 fuegos modelo CG-940, de la serie 900, diseñada para ofrecer las máximas combinaciones de trabajo con las características de: diseño, potencia, funcionalidad, seguridad y accesibilidad. Además cuenta con quemadores de alto rendimiento diseñados para ofrecer el máximo poder calorífico. Un horno combinado eléctrico modelo HE-1011/2, de nuestra serie Cook&Chill, que permite gran versatilidad para la preparación de los alimentos. El Horno mixto es multifunción con mandos y pantalla a LED. 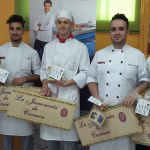 Una cocina funcional con equipamiento Repagas, para colaborar con buenas causas como el trabajo que llevan a cabo diariamente las Misioneras de la Caridad en su comedor. 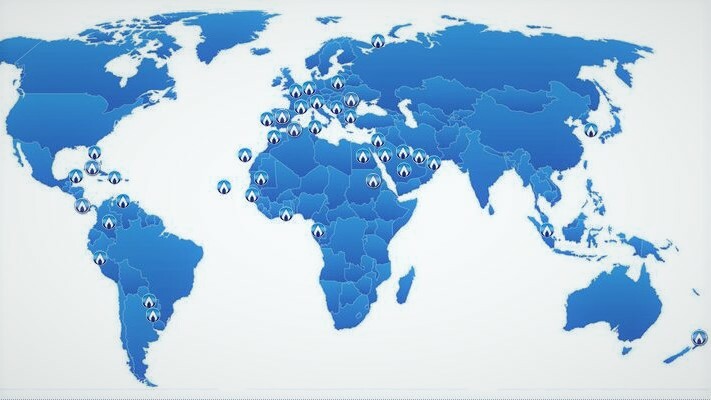 Si quieres conocer en más detalle las últimas instalaciones que llevamos a cabo en Repagas, consulta más de nuestros casos de éxito. The Bilbao Berria restaurant, located in Bilbao, Spain is a tavern and restaurant that serves Basque fusion cuisine, in which it combines traditional and autochthonous flavours. With quality and modern products, Bilbao Berria is an ideal place to enjoy fine food, a pleasant atmosphere, décor and innovation. The needs of the restaurant are reflected in one of the diverse kitchen spaces, offering catering equipment that allows for an optimum and rapid workflow to give diners the best service. The solution that Repagas offered the restaurant focused on support and guidance to achieve a functional workspace with the most appropriate appliances. For the kitchen are, the following appliances from our 750 series were installed: Dual-burner gas cooker (Model CG-720/M), a gas Fry-top (Model FTG-71/CDM) and gas fryer (Model FG-157). Finally, a gas combi-oven from our Cook & Chill series (Model HGC-701). You can consult more of our products here. A highly functional kitchen area with Repagas products.